young designer, ondrej vaclavik recently graduated from prague’s academy of arts, architecture and design. he sent in some images of his final project which was also shown at prague designblok in 2007. the project was a biomimetic tent that used the vein structure of leaves to inspire the tent’s design. 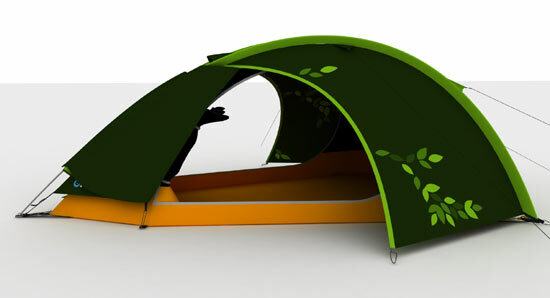 ‘tent husky’ uses the rigid branch-like structure to add stability to the tent’s design.